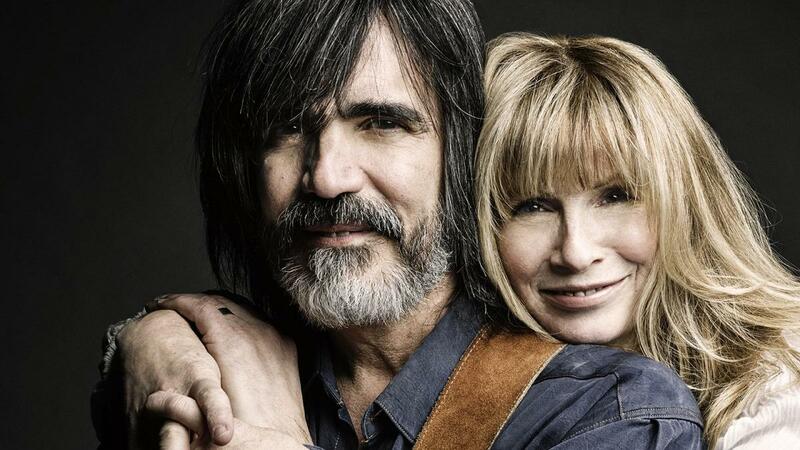 Larry Campbell and Teresa Williams have rocked many a venue, as both center stage performers and invaluable assets to world class acts. They’ve worked with everyone from Bob Dylan, Paul Simon, and Hot Tuna to Emmylou Harris, Mavis Staples, and Levon Helm. It was as anchors of Levon’s Midnight Ramble Band that they honed their sound as a duo. “It was the most pure musical experience I’ve ever had,” Larry says of their time with Levon. “I looked forward to every gig I ever did with Levon, I loved doing it, and when it was over I couldn’t wait for the next one. I got inspired to write more songs for Teresa and me to sing.” Songs like the Muscle Shoals-inflected “Surrender to Love,” heart-wrenching ballad, “Another One More Time,” and boot-stomper “Bad Luck Charm,” feature the distinctive texture of two entwining voices who’ve been through a lot together – the good, the bad, and the joyous. Their debut album may have been simmering awhile, but the timing is perfect; the eleven tracks distill everything into a potent, infectious blend of Americana style and timeless soul, offered with a relaxed generosity. With Larry and Teresa, the duo not only brings a lot to the table, they bring the table itself‚plus the house, the still, the church, the sawdust-covered floor, and abiding love, all carried in two voices harmonizing across hills, hollers, porches, and fire escapes. Those close harmonies ride atop music made in a mountain refuge, far from the madding crowd, connected to a spirit that lives on in song.